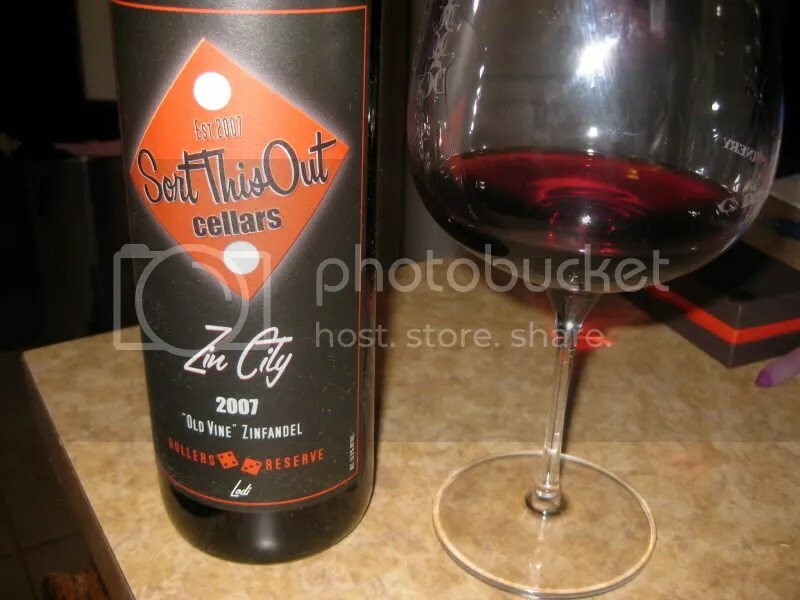 On my weekend of wine disasters, I had two successes…the J. Keverson Zinfandel and the 2007 Sort This Out Cellars Zin City Old Vine Zinfandel Rollers Reserve. Apparently I should have just stuck with Zinfandel all weekend and I wouldn’t have had to dump anything! 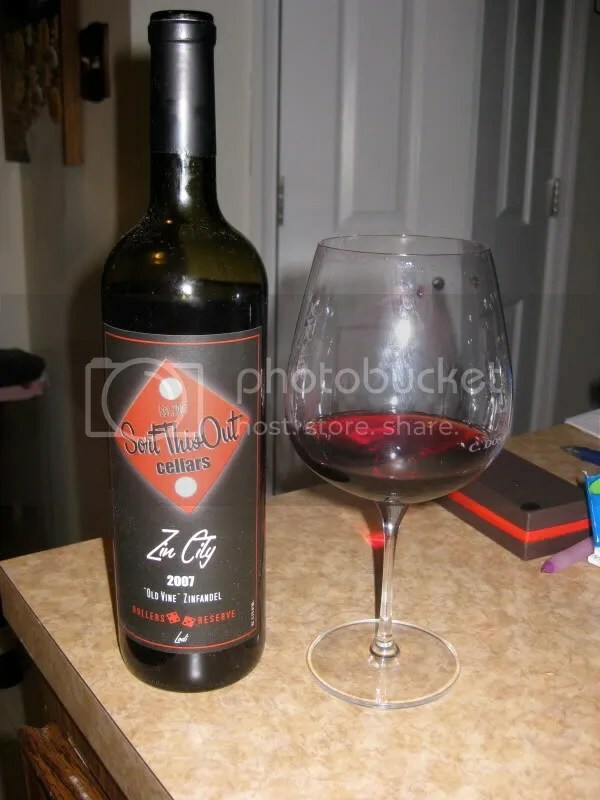 The Rollers Reserve Zin clocked in at 13.5% alcohol by volume, had a real cork closure, and retails for around $34. Overall, I’ve really enjoyed the wines from Sort This Out Cellars so far…I have a couple more hanging around the basement yet to try too! On the nose I got cedar, pepper, smoke, spice, black cherry, cranberry, and brown sugar. In the mouth I found black cherry, spice, pepper, tart fruit, cranberry, pomegranate, and milk chocolate. Overall, the wine had nice structure and acidity, with some tannins on the back palate holding it altogether. This is the second Zin in a row I’ve had that’s shown more red fruit and is more restrained than jammy or in your face. I’m digging it!